This powder room in Los Gatos had a pocket door that was open to the main walkway in the house and was typically left open. The client wanted to add dimension and interest to the wall that was always seen. The owners wanted something beautiful to look at when walking by and wanted the artwork to fit with the sophisticated decor in the powder room. The wall was not appropriate for a framed painting because the room was narrow and it would be brushed against. 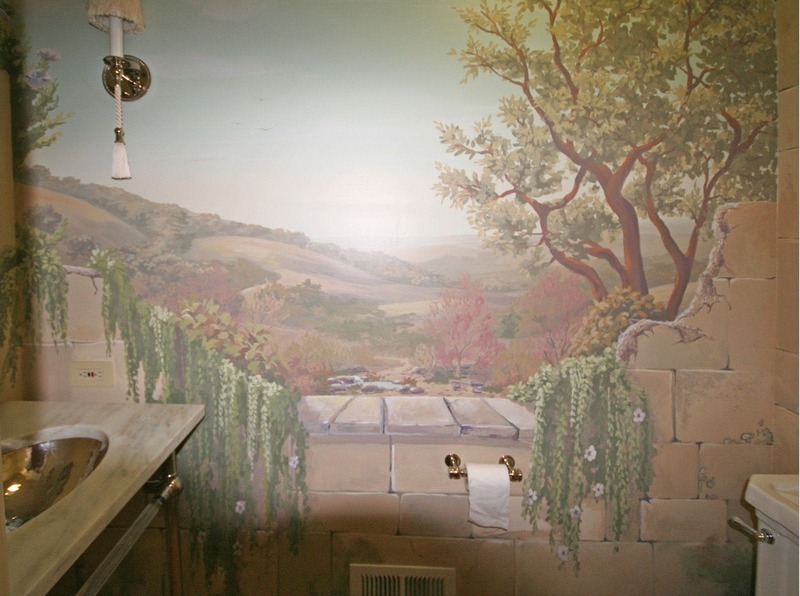 This mural was a great solution because it integrates seamlessly with the rest of the house and existing decor, including the natural stone painted wall that echoes the same stone used throughout the exterior landscaping. 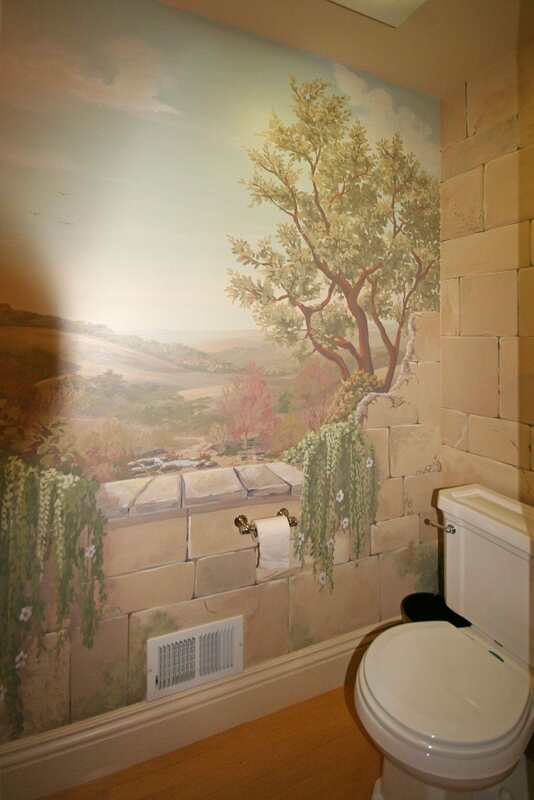 We added limestone blocks behind the loo, for some old world texture, and then created a landscape that was inspired by the mountains that surrounded their home.